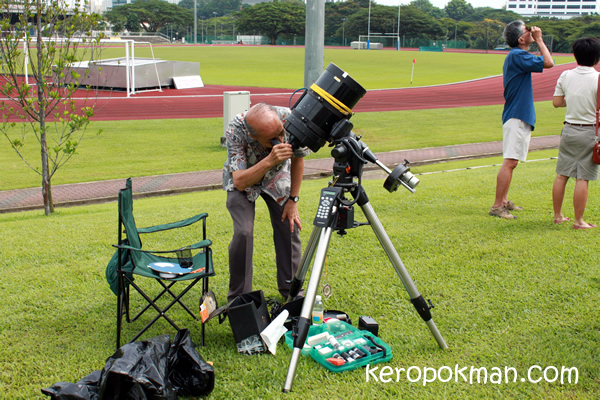 Earlier today, many people were around the NUS Multipurpose Field all excited to see Venus! 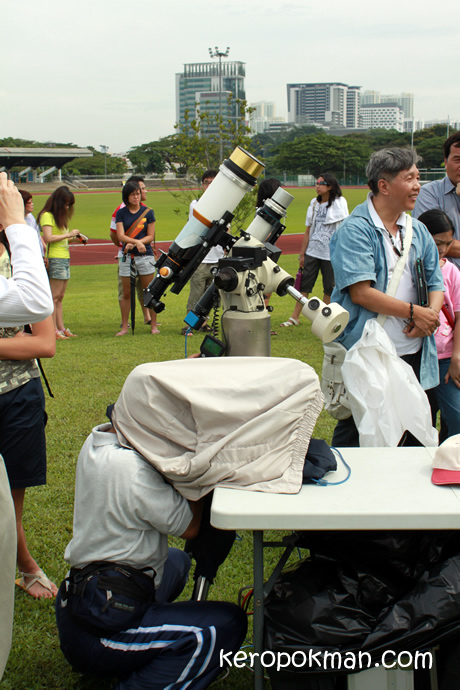 Colleagues and I also joined to welcome Venus at the NUS fields. 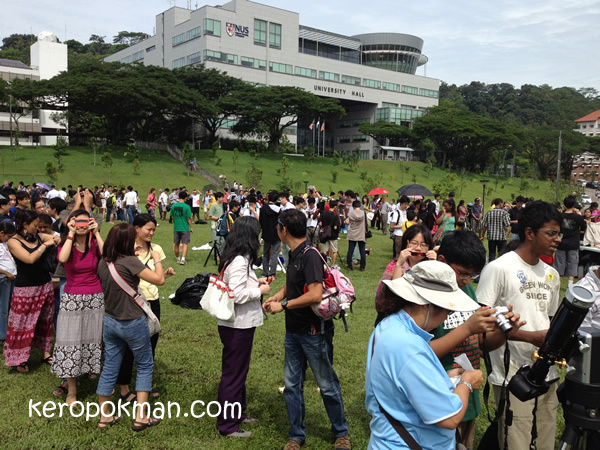 NUS had a series of event and you can read about it here or here. You can get better photos on the internet, but this was what I got to see when I viewed through the many telescopes that was around the field. 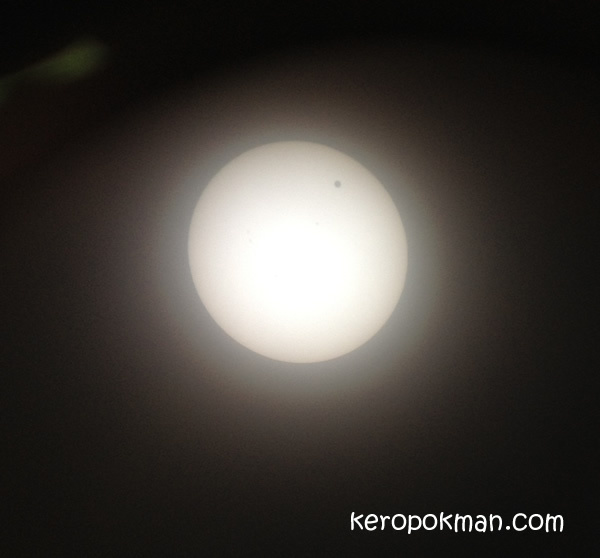 I managed to take a photo of it using my iPhone via the telescope's eye piece! The little black dot, that's Venus! I am not sure who this person is, but he is very knowledgeable and was sharing what he knows to people around. One of the many queues on the field on a bright warm day. 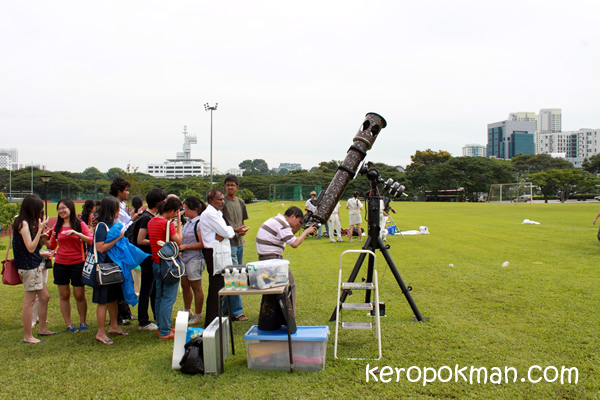 This was the biggest telescope around and it also had the longest queue! This telescope was connected to a laptop. This person was looking at this laptop under his jacket so that it can be dark enough. Did you watch it in the country you were in?